TVNZ 2 will be one of more than 160 channels that rolls out 24: Legacy worldwide within 24 hours of the spin-off’s US premiere. The thriller goes to air on Fox on February 5 and will screen here 8.30 Mondays ahead of The Walking Dead. “The 24 franchise is a true cultural phenomenon and we are excited to allow fans in these 160 countries to experience the next installment all at once,” Fox Networks Group’s chairman and CEO Peter Rice said in a statement overnight. Hopefully, 24: Legacy’s launch will see the long-delayed bow of 24: Live Another Day on Blu-ray. It streamed as one of Lightbox’s first coups but has never been released on DVD or Blu-ray in this market, despite going on sale across the Tasman. While 24: Legacy won’t resurrect Kiefer Sutherland’s Jack Bauer, it will feature some old faces from the original, including Tony Almeida (Carlos Bernard), who was last seen going to prison in the 2009 season. 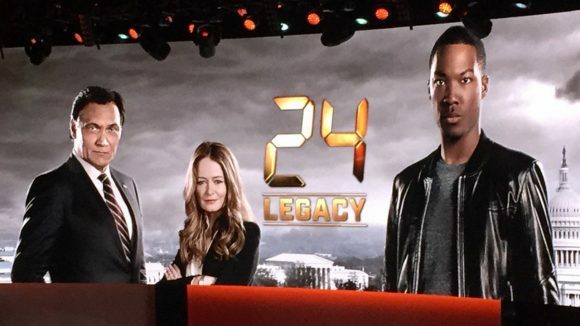 And unlike the original, 24: Legacy will run for 12 weeks instead of 24 — which producers say will benefit the series. Variety quotes them as saying while twice as many episodes gave the characters more time to breathe, it was challenging to fill so much air time with enough thrills: “About episode 17 the storytelling got a little dire,” one admits. 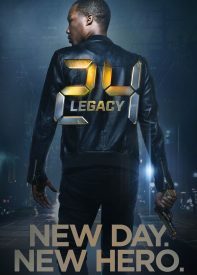 The new 24 hero is an ex-Army Ranger played by Corey Hawkins (The Walking Dead, Straight Outta Compton) who requests the Counter Terrorism Unit’s help to save his life and thwart what could be one of the largest terror attacks on American soil. The series also stars Jimmy Smits, Homeland’s Miranda Otto and Veronica Cartwright (Bosch, Resurrection). I see that Netflix have cancelled Marco Polo – only 2 seasons and $277m loss. Ouch. This TV game is a bit of a lottery – Netflix had said the show was very well received by international audiences. Financially … not so much. Yes, no matter the platform and audience measurement system, the bottom line always prevails. Trevor, don’t count your chickens as yet. I’ve already veiwed this one — it’s bigger than the first.